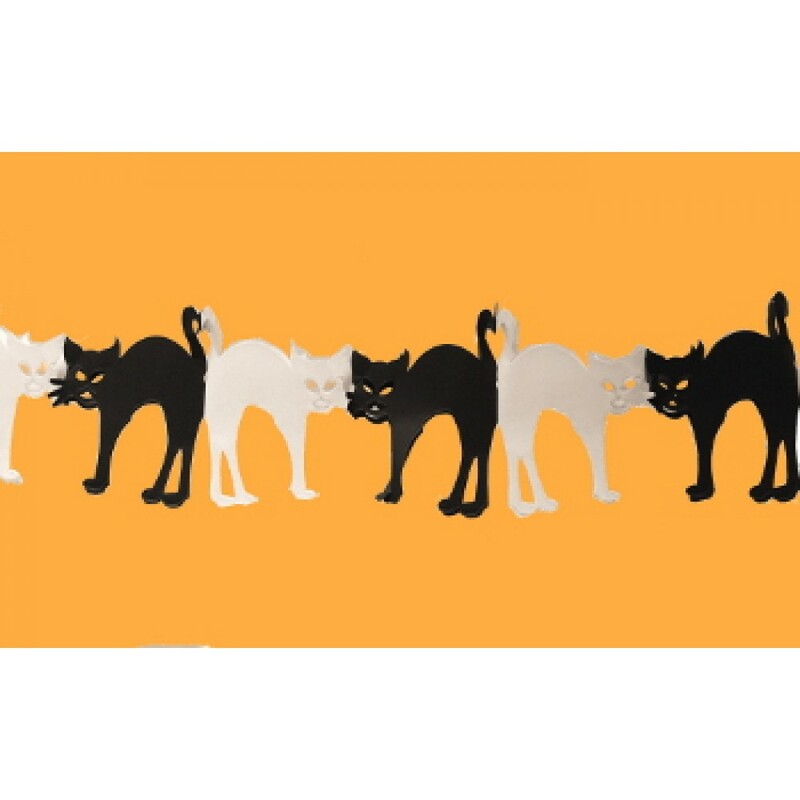 Alternating cats of black and white hiss from this tissue garland. Stretching to 10 feet in length, it folds up flat when not in use. Add it to your next Halloween party's decorations.